Beginning his professional career at Microsoft - Scott moved up the ranks from driving a forklift to a Master scheduler. 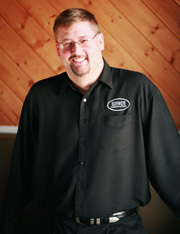 Founding, SEFNCO in 1998, Scott enjoys the family atmosphere, and the competitive nature his employees share. "The collection of caring employees and watching (my) teams pull together when we have a common goal - is amazing." Founder, President and CEO Scott has been with SEFNCO for more than 10 years and continues his dedication to the continued growth and success of SEFNCO COMMUNICATIONS. In his free time Scott enjoys spending time with his family, motorsports and football.